Marriage is no fairy tale. Author Jewell R. Powell knows from experience. But she also discovered that there is hope for getting through the hard times, and that, with God, a happy and fulfilling marriage is possible. Using the story of Sleeping Beauty as a parable of God's plan for marriage, this book/workbook combination offers an 8-week plan for individual or group study that encourages examining the areas in our lives that need to change. 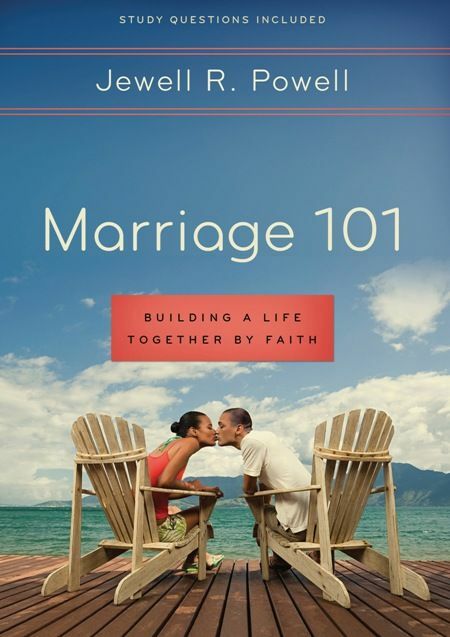 Using biblical examples, reflection questions, and Scripture meditation, Powell challenges those who want strong and healthy marital relationships to lay a spiritual foundation from which to grow. Marriage 101 is a valuable, insightful resource that couples can go to for help when dealing with the real issues they face. Jewell R. Powell is a teacher and marriage coach. Her education includes the University of Maryland, VCMI Ministerial Training School, and Regent University School of Divinity. She and her husband, Lewis, founded the "Happily Ever After" Marriage Ministry, which equips couples to overcome marital difficulties. Jewell lives with Lewis and her two daughters in southern Maryland.